Denmark’s Welcon has received the order to produce the first TetraSpar floating offshore foundation for a consortium comprising Shell, Innogy and Stiesdal Offshore Technologies. 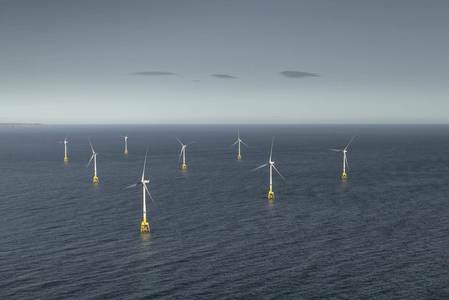 We are very proud to be involved in this exciting project, which can be a game changer in offshore foundations for wind turbines,” Welcon said. Earlier, Innogy, Shell and Stiesdal Offshore Technologies A/S (SOT) have signed an investment and cooperation agreement to build a demonstration project using SOT’s TetraSpar floating foundation concept. Welcon said: "The way this foundation is designed fits perfectly into our production line. We will be able to produce the TetraSpar foundations at about the same cost per kg as the towers we mass produce at the present time. This cost level will represent a game changing leap relative to existing floating offshore wind technology." Welcon manufactures steel components and solutions.